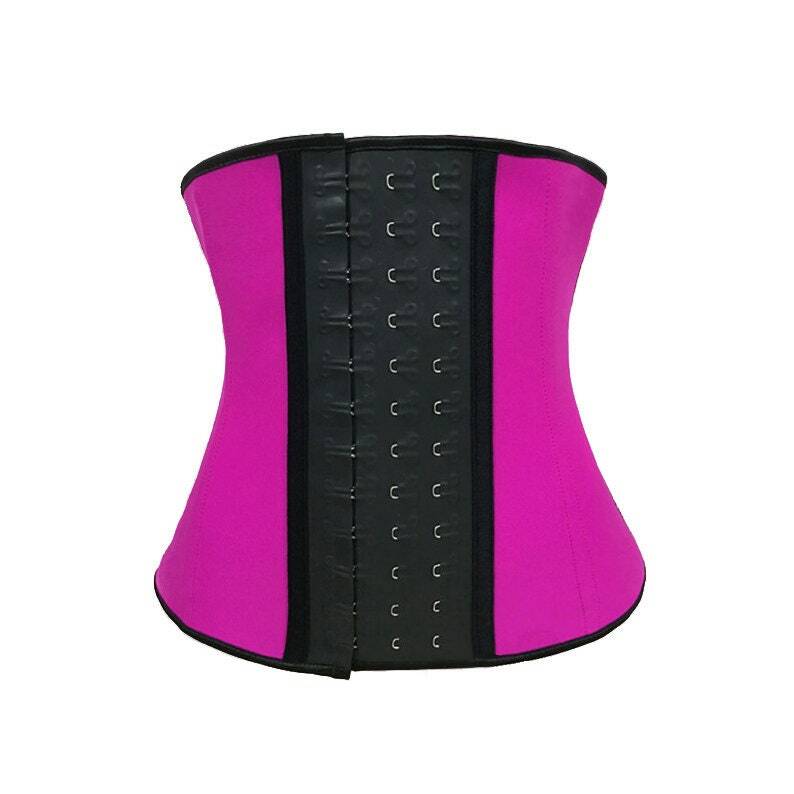 If you're training for a bikini competition, or simply want to look like you do, this sport waist trainer will be your greatest ally to achieving a tiny waist and highlighting the figure S shape and curves you've been working so hard to achieve. This premium-quality sport waist trainer features an outer latex layer, intended to increase thermal activity and maximize the results from your gym sessions, which is paired with an inner cotton layer to avoid skin irritation. 3 hook-and-eye closure columns allow you to adjust the sizing to your comfort level and decrease the size as your waist gets smaller, creating a smooth transition from one size to the next. Full-latex exterior, including over the hook and eye front panel, creates a tight and even squeeze, preventing front bulge. Cotton inner layer to reduce skin irritation. 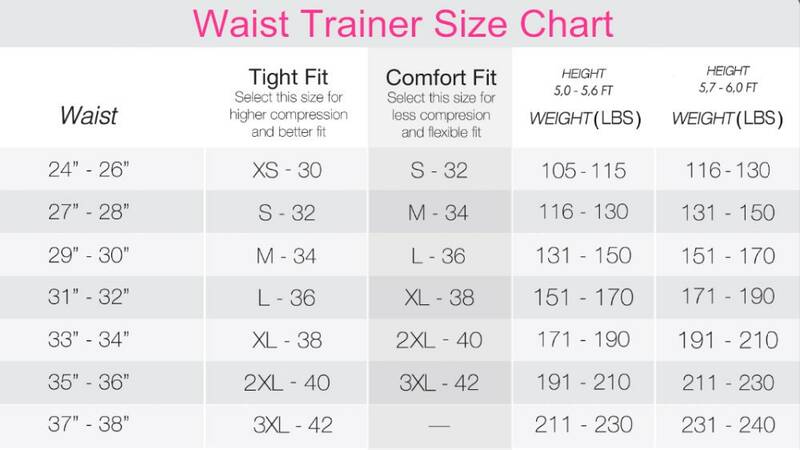 We recommend choosing your waist trainer size by measuring your waist right above your navel and referring to our size chart in order to find the corresponding size. Our size chart includes height/and weight, but keep in mind that this information is included to guide you in your selection since we all hold our weight differently. Ultimately waist measurement is the most reliable size-determining factor. *Customer and/or wearer is responsible for educating themselves on the usage, pros and cons of waist training. By wearing this product, individual assumes any and all risk, and Showstopper, LLC is not responsible for any unfavorable outcome that may arise from usage. Please consult your physician and athletic trainer before deciding to use this product.